As a marketer, you’ve probably come across the Alexa Rank metric countless times. This is especially true if you’ve been using rank trackers and SEO analytics tools. It often sits next to a handful of other metrics that marketers use to gauge their success, including Google PageRank, MozRank, and Domain Authority. If you’re reading this post, chances are you don’t fully understand what the Alexa Rank really is, what it measures, and why dozens of marketing analytics tools seem to track it. Don’t worry — you’ve come to the right place. In this post, we’ll discuss how important is Alexa Ranking for SEO and the fundamentals of improving this metric. But first, we need to cover the basics. Before anything else, remember that SEO metrics are developed by digital marketing companies and software providers for various reasons. For example, the Domain Authority metric is coined by Moz to measure a website’s ranking potential on a scale of 1 to 100. Majestic, on the other hand, introduced the Trust Flow to measure a website’s authority based on the individual trustworthiness of linking domains. 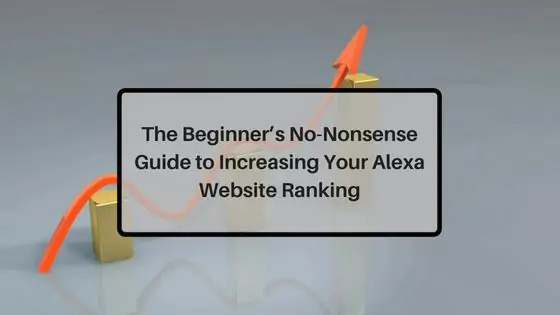 As the name suggests, the Alexa Ranking is a metric created by Alexa — a marketing analytics company — to measure a website’s performance relative to all other websites on the internet. 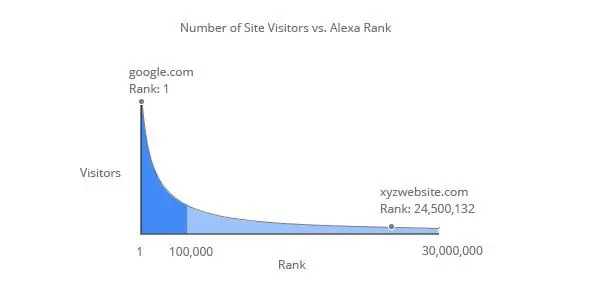 This means your Alexa Ranking not only depends on the individual performance of your site but also takes into account the traffic that goes everywhere else. This includes giants like Google, Facebook, Wikipedia, and Reddit. To view your website’s Alexa Rank, head over to the official Alexa “Site Info” page by clicking here and enter your URL. After a few seconds, you will be taken to a summary page where you can find your Alexa ratings both globally and in a specific country. For sites that are either newly made or don’t have an active SEO campaign, chances are the Alexa tool doesn’t have enough traffic data to give your website proper ratings. This has something to do with the way the Alexa website ranking is assigned. To collect traffic data, Alexa leverages a data panel that consists of millions of users around the world who use one of over 25,000 extensions for major web browsers. Alexa estimates how popular websites are by using the data panel as a sample population. For accuracy, its algorithm can also detect biases as well as illegitimate traffic and spam sources. 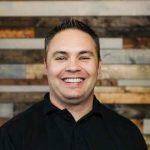 Now comes the million dollar question: How can you increase your Alexa ranking? The short answer is, of course, to build tons of traffic to your website. If you manage to generate a huge, steady stream of traffic, then your Alexa Rank will naturally build itself. As per the official Alexa blog, the website with the most traffic and pageviews over the past 3 months will have a rank of 1. As of 2018, this rank belongs to none other than Google — the biggest search engine on the planet. 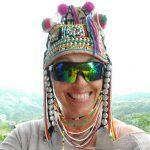 If content is king, then keyword research is queen — and she demands your attention. Keyword research makes sure your content is discoverable and appealing to the right audience. More importantly, it allows you to pick your battles more intelligently by avoiding competitors that are way out of your league. 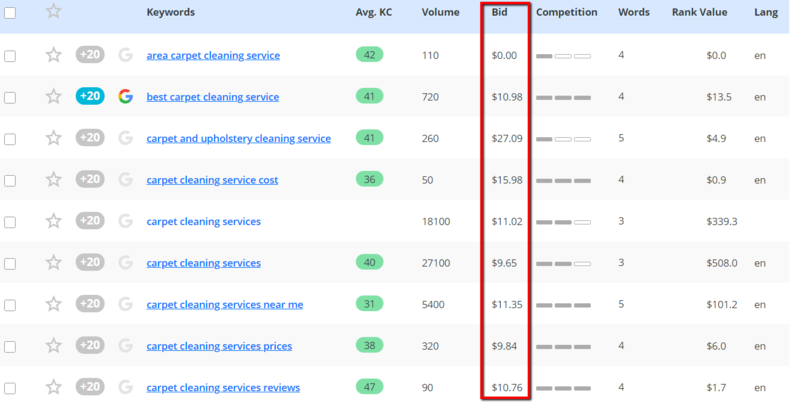 You can use free tools to do your keyword research or you can get better results by using software developed to find the best low competition keywords. With Long Tail Pro, all it takes is a few seconds to generate hundreds of lucrative keyword ideas. You just need to enter relevant seed keywords, adjust the number of suggestions you want per search term, and click the “Retrieve” button. Once the results are in, you can start comparing keyword suggestions based on metrics, such as the average keyword competitiveness rating, monthly search volume, and projected rank value. A tip when conducting keyword research with Long Tail Pro: Look for longer keywords that target narrower audiences with more specific goals. 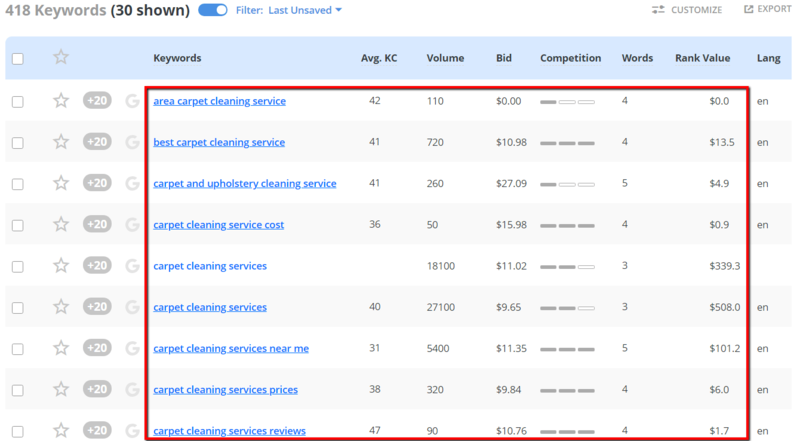 Keywords that include commercial terms like professional carpet cleaning services and cheap carpet cleaning services, for example, are more likely to be used by potential customers who have a strong purchase intent. Longer keywords also tend to have lower competitiveness ratings than broad terms. Not to mention that they reflect how actual users search the internet. For new brands, a rule of thumb is to look for keywords with an average competitiveness of 30 or less. On the other hand, established businesses can have their recommended competitiveness rating adjusted by linking their domain to their Long Tail Pro project. As with everything in SEO, time is of the essence in improving your Alexa Rank. You don’t need to be a marketing veteran to know that improving your organic rankings in Search Engine Results Pages or SERPs may take several weeks or even months. And although it’s important, you can’t afford to wait that long for traffic, especially if the profitability of your business is on the line. To get traffic faster, plenty of businesses turn to Pay-Per-Click or PPC campaigns. On search engines, a PPC campaign can give you a shortcut, so to speak, to Google’s first page. Done correctly, it can generate both traffic and conversions the moment your ads go live. However, PPC campaigns do require hours of planning — combing through profitable keywords and customer data that will help you design your ad content. 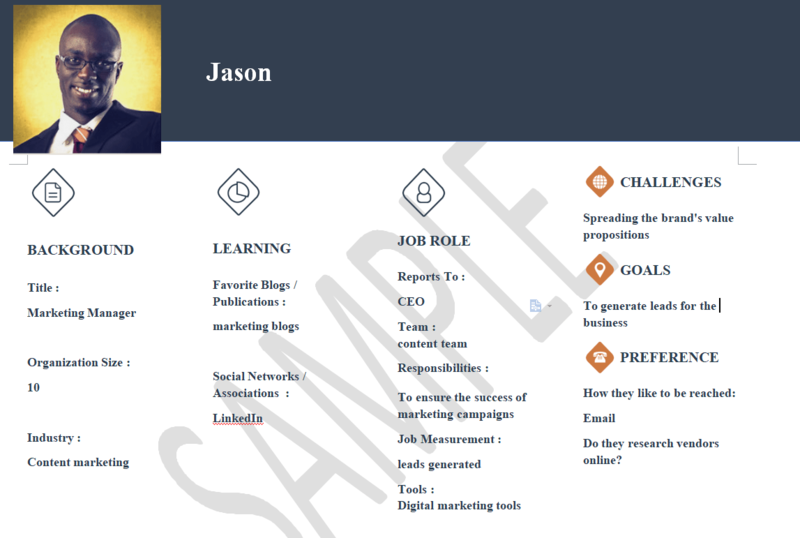 Creating detailed buyer personas with a tool like MakeMyPersona is a step in the right direction. These are documents that represent your ideal customer using information such as their job position, interests, goals, and age. For the most part, buyer personas can help you tailor your ad copy to the unique needs of your target audience. It can help you craft effective ad headlines and descriptions that users will gravitate to. Buyer personas are also helpful when developing user-oriented content for your website. By understanding their pain points and communication preferences, you can develop content that’s not only compelling but also effective in winning their vote of confidence. Before you launch your PPC campaign, make sure you plan your budget accordingly by calculating the maximum Cost-Per-Click or CPC you should invest. This pertains to the amount you have to pay whenever a prospect clicks on your ad, regardless if they convert into paying customers or not. The good news is, you already know how to check the average CPC your target keywords get. You simply need to refer to your Long Tail Pro project and look at the “Bid” column. If you know a thing or two about online marketing, you knew this is coming. When it comes to generating traffic, you absolutely need to double down on content creation. Doing so will enable you to improve your organic rankings — thus, helping you gradually increase the traffic that goes to your site. By the time you completed your keyword research, you should already have a handful of content ideas that align with your target keywords. The next steps are to actually create the piece and promote them to the right content distribution channels. Believe it or not, you don’t need to be an English major to be an effective SEO writer. You just need to focus on the right content elements and learn how to optimize them. SEO-wise, adding your target keywords to headlines and post titles is a proven practice. In addition to improving your keyword rankings, it also helps capture the attention of users. As a marketer, you should know that different writing styles appeal to different users. Refer to your buyer persona to identify whether you should adopt a conversational or formal tone. Aside from the headline and title, your choice of images also makes your content more eye-catching, especially on social media. Statistics show that posts on Facebook with images get 2.3 times more engagement in the form of likes, shares, and comments. In the past, SEO writers only had to spam their focus keywords throughout an article’s body to increase its ranking potential. Today, however, you only need to mention it at least once as long as it’s done in a natural and non-disruptive manner. Instead of greeting your audience with a thick, intimidating wall of text, chunk it down into smaller sections to improve readability. This will also give you more opportunities to insert your target keywords within the post. At this point, it’s common knowledge that longer articles tend to rank higher in SERPs. But rather than committing to a specific content length, a better strategy is to check the highest-ranking posts for your target keywords and aim to write more. Lastly, the experience of your users greatly depends on the value they can get out of your content. By the end of your post, see to it that readers are provided with clear and actionable takeaways based on the title. 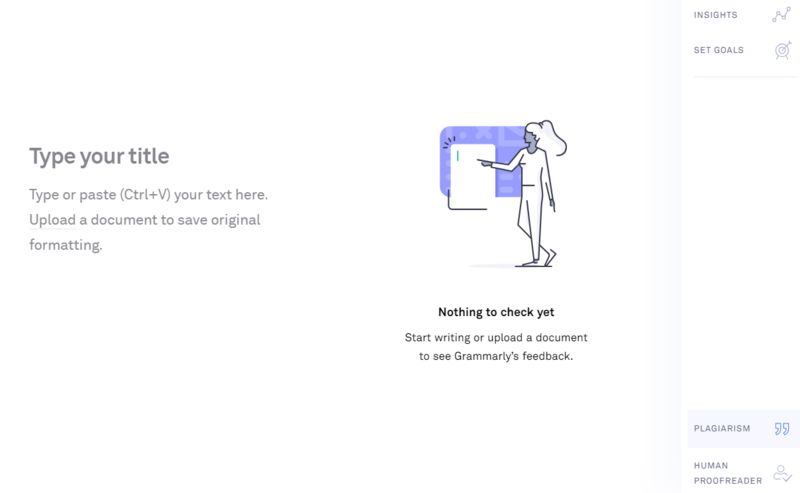 To polish your content, use a tool like Grammarly to automatically detect grammar, spelling, and readability issues. It also has a built-in plagiarism checker that will help you avoid publishing duplicate texts, which could hurt your chances of ranking highly in search engines. A lot of marketers use link building primarily as a ranking tool. Of course, being visible on SERPs is a reliable way to consistently get traffic to your website and increase your Alexa Rank. Still, you shouldn’t underestimate the value of links in terms of quickly generating high-quality traffic from other sites. 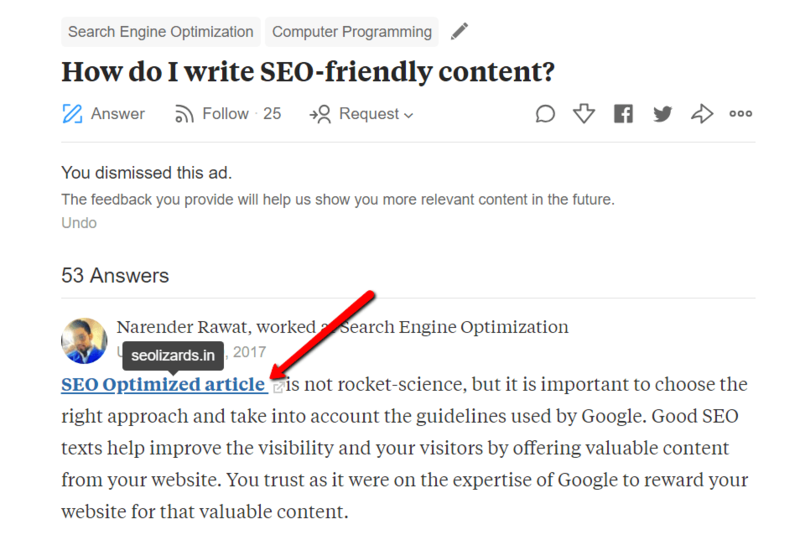 For example, promoting your content through Quora is a great way to put your content front and center to those who need it. Just like with keyword research tools, you need to enter a seed keyword to pull up queries that are made by users. After finding questions that are related to your content, simply make your presence known by writing a response while cleverly inserting a link to your site. Just be sure to focus on the issue at hand as you try to be helpful — your answer must be able to stand on its own without requiring users to click on your link. It’s worth noting that Quora automatically applies the “nofollow” attribute to all outbound links embedded by users. While this won’t directly improve your site’s keyword rankings, it’s definitely helpful for funneling traffic to your website. 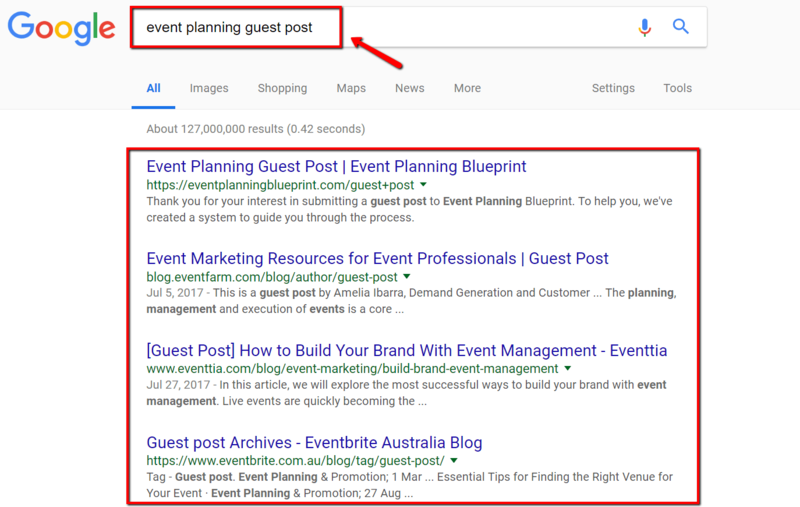 For a link building strategy that does improve your organic rankings, guest posting is one of the most popular tactics. It involves submitting content that includes your backlinks to other authoritative sites. A straightforward way to find websites in your niche that accept guest posts is to utilize search engines. 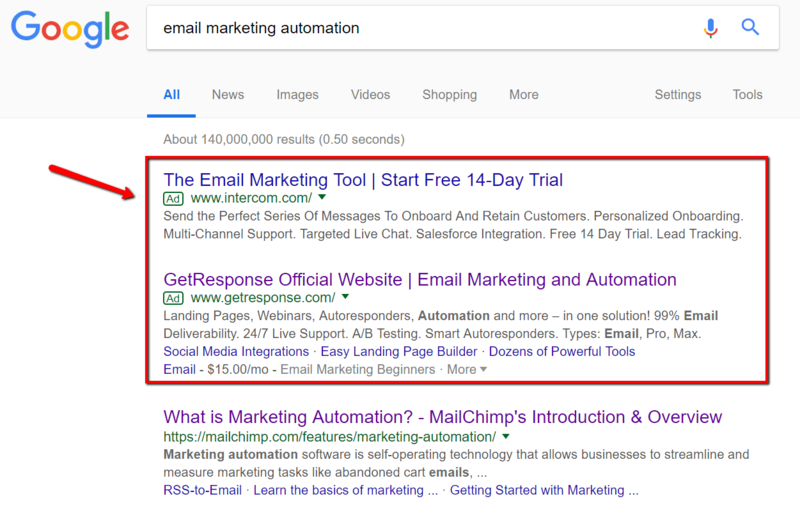 All you need to do is use a seed keyword along with the terms “guest post” or something similar. As the cherry on top, don’t forget to use social media integrations to enable sharing, encourage engagement, and augment the reach of your content. Look specifically for social media groups in your niche that you can join and try to promote your content there. Not only will this help you squeeze more traffic out of your content, it can also expose your posts to more opportunities to get backlinks. At the end of the day, the journey to a better Alexa Rank looks similar to any comprehensive SEO campaign out there. The only difference is that the former has more emphasis on gaining traffic than increasing a website’s organic traffic. In digital marketing, everything starts with keyword research. Sign up today for your 7-day Long Tail Pro free trial to make sure your traffic-generation strategies pay off!